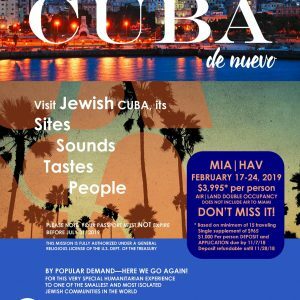 Back by popular demand – a Mission to Cuba! In your 20’s or 30’s? Join NextGenAC for our monthly Havdalah & Game Night! This month, we will gather in Atlantic City (email rachel@jewishbytheshore.org for address) for Havdalah, an indoor pool party and game night.